DJ Patrick Butler arrived on the Santa Barbara club scene in 1989 and is accredited for being the resident DJ at some of Santa Barbara's hottest dance clubs, such as Tonic, 634, Carnivale, and O' Malley's. He has also worked as a full-time radio DJ for Radio KHTY 97.5FM from 1992 to 1995. DJ Patrick's skills currently keep the dance floor packed at Wildcat Lounge where he is also the general manager. 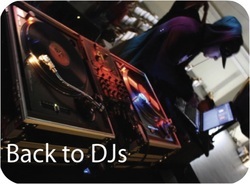 DJ Patrick Butler has performed at weddings, bar/bat mitzvahs, corporate events, and more. His work for event designers and sound/lighting production companies makes him an invaluable consultant on our team. A master at custom tailoring a performance to your needs, DJ Patrick delivers a spectacular show every show.